Manchester United are looking to the future after ending Louis van Gaal's turbulent two-year reign, with Monday's belated confirmation paving the way for Jose Mourinho to return to management. Saturday's FA Cup triumph could not disguise a disappointing campaign in terms of style and substance at Old Trafford, which will not host Champions League football next term after United stumbled home in fifth. Van Gaal paid with his job as United put him out of his misery on Monday evening, with former Chelsea manager Mourinho, who worked with the divisive Dutchman at Barcelona, appearing a shoo-in for the vacated post. Press Association Sport understands assistant manager Ryan Giggs has been offered a role that would keep him at United, although it is unclear what it entails. United confirmed they plan to announce Van Gaal's successor "soon" in the statement confirming the widely-expected change in management, with the 64-year-old's disappointment at the decision palpable in a 415-word statement. 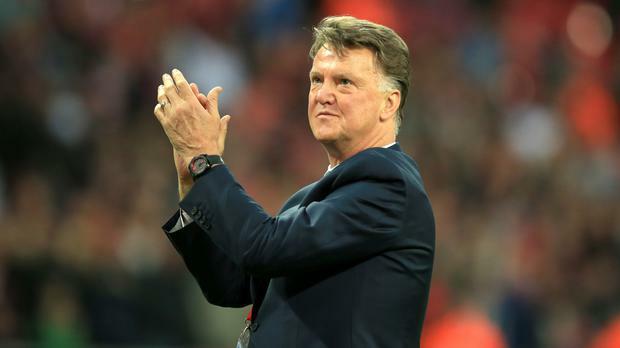 "I am very disappointed to be unable to complete our intended three-year plan,'' Van Gaal said. "I believe that the foundations are firmly in place to enable the club to move forward and achieve even greater success. "I hope that winning the FA Cup will give the club a platform to build upon next season to restore the success that this passionate set of fans desire. "Having managed in Holland, Spain and Germany, I had always hoped for the opportunity to manage in English football and be part of English culture. Both of these experiences have lived up to expectations and been fantastic." Van Gaal went on to thank United's players, supporters and owners, as well as the board, his coaches and every other member of staff, from the laundry department to the catering team. The Dutchman said he has never been so well supported during his 25 years in management and signed off by giving special thanks to Sir Alex Ferguson and Sir Bobby Charlton for "always making me and my family feel so welcome". Confirmation of Van Gaal's exit belatedly arrived at 8.30pm on Monday, apparently to give the Dutchman time to leave the country after spending most of the day at the club's Aon Training Complex. Employment lawyer Paul Gilroy QC, who has long worked with the League Managers Association, was at United's Carrington base and there has yet to be any official confirmation on the fate of Van Gaal's backroom team. Giggs has been offered a role at United amid reports that the former winger could end his near 29-year association with the club, having served Van Gaal and predecessor David Moyes. As for United's next manager, Mourinho's agent Jorge Mendes is said to be arriving in Manchester on Tuesday to discuss a deal for his client. Out of a job since being sacked by Chelsea in December, the Portuguese has repeatedly spoken of his plans to return to work this summer and reviving United's fortunes would look a mouth-watering proposition for the self-styled 'Special One'. Mourinho kept his counsel when quizzed about the United job on Monday, but removal men were spotted outside his London home. The Portuguese has long been linked with the post vacated by Van Gaal, who executive vice-chairman Ed Woodward paid tribute to. "I would like to thank Louis and his staff for their excellent work in the past two years culminating in winning a record equalling 12th FA Cup for the Club (and securing him a title in four different countries)," he said. "He has behaved with great professionalism and dignity throughout his time here. "He leaves us with a legacy of having given several young players the confidence to show their ability on the highest stage. Everyone at the club wishes him all the best in the future."